Federal prosecutors with the Southern District of New York said they are charging Avenatti "for attempting to extract more than $20 million in payments from a publicly traded company by threatening to use his ability to garner publicity to inflict substantial financial and reputational harm on the company if his demands were not met." "According to the criminal complaint, Avenatti met in March 2019 with [an] attorney for Nike and threatened to release damaging information about the company if Nike didn't make millions in payment to himself and an unnamed co-conspirator," CNNreported. "Avenatti also allegedly demanded that Nike pay $1.5 million to an individual he claimed to represent." 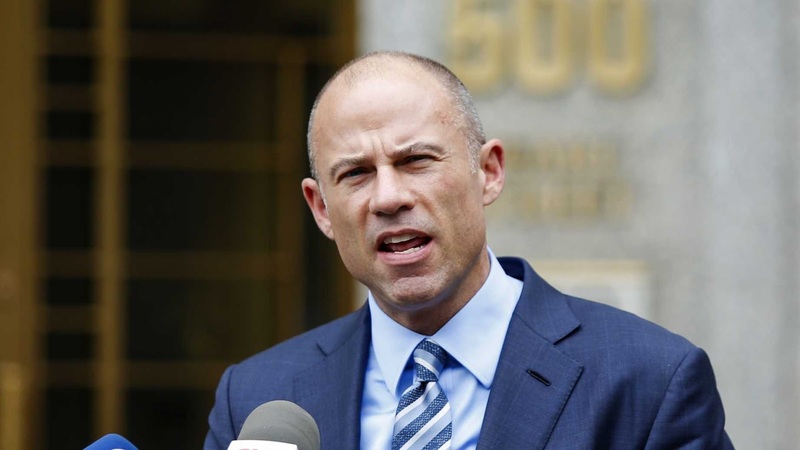 Federal prosecutors from the Central District of California also filed criminal charges against Avenatti on Monday, saying in a statement that Avenatti "was arrested today pursuant to a criminal complaint alleging he embezzled a client’s money in order to pay his own expenses and debts — as well as those of his coffee business and law firm — and also defrauded a bank by using phony tax returns to obtain millions of dollars in loans." "Tmrw at 11 am ET, we will be holding a press conference to disclose a major high school/college basketball scandal perpetrated by @Nike that we have uncovered," Avenatti tweeted. "This criminal conduct reaches the highest levels of Nike and involves some of the biggest names in college basketball."